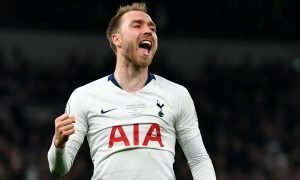 Spurs keeper pens new deal | The Transfer Tavern | News, breakdown and analysis on all things football! In the Football Transfer Tavern it seems like veteran keeper Brad Friedel has been around as long as some of our regular punters and smiles have been raised at the news from The Mirror that the American stopper has signed a new deal at Tottenham Hotspur to keep him at the club until 2014. 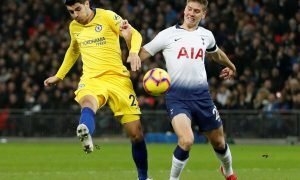 The 41-year-old has enjoyed a good run in the team at Spurs and in a well-publicised battle with Hugo Lloris for the number one shirt and despite losing it of late, manager Andre Villas-Boas is keen to keep the American at the club – which some may call greedy given Hugo Lloris, Carlo Cudicini and Heurelho Gomes are already on the goalkeeping books in North London. 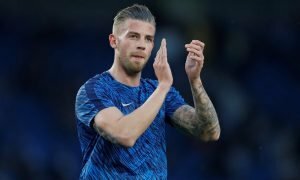 Gomes and Cudicini are looking to move, with the Italian eyeing up LA Galaxy and Gomes simply craving a return back to Brazil, meaning Spurs would have been left with just Lloris so AVB has done well to tie the veteran down in a new deal. Friedel himself claims to be happy in London, yet there was the question about regular game time heading into the twilight of his career. However he claims he will relish the challenge and look to unseat the French number one Lloris which could well take some doing. There was of course no shortage of takers for the veteran with former club Blackburn Rovers interested in taking the player on a player/coach deal. Friedel will be 43 when his contract expires. Is this a smart move by Spurs? Vote in our polls below.